Are you looking to improve the security of your building? Whether that means protecting your employees, customers or assets, an expertly-installed and maintained security camera system that is custom-designed for your building’s layout and company’s needs is crucial for proactively protecting your business. State Systems designs, installs and maintains security camera systems throughout the Mid-South, including Tennessee, Arkansas and Mississippi. No matter what your security and surveillance needs are, our trained staff has the experience and expertise to find the best solution for your company. Contact us to schedule an on-site survey and estimate for a security camera system design, installation or maintenance from State Systems. Call us today at 866-308-5701. 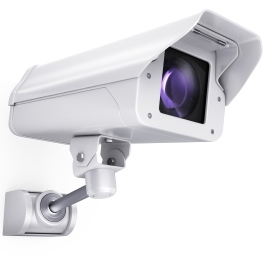 We offer comprehensive design, installation and maintenance services for video surveillance camera systems. Our experts can determine exactly what you need and recommend the security monitoring products that are best suited to your Mid-South company. Our team has been trained by a variety of leading manufacturers to install and configure the products you choose for easy operation and optimal efficiency to protect your business located in Memphis or the surrounding areas in Tennessee, Arkansas or Mississippi. The importance of having a professionally designed and installed system cannot be overstated. 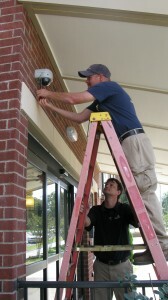 Almost anyone can look at a location and suggest a number of cameras, but only qualified individuals, like those at State Systems, have the experience to recommend a security camera system and configuration that will provide you with the best definition, range of coverage and features that you need for a secure and reliable system. When we design your video surveillance system, we add value to the system by strategically setting up your cameras and using different lens angles to achieve a better view of your building or office’s points of interest. For more information about our security camera system installation, products and services, or for a quote, call 866-308-5701 or contact online us today!